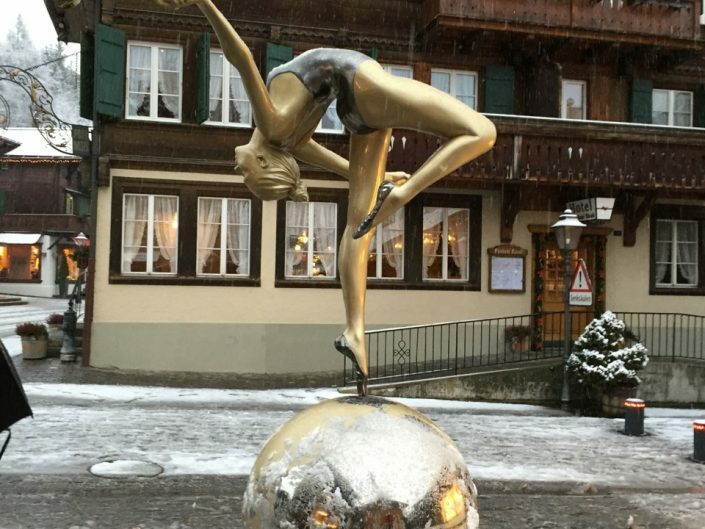 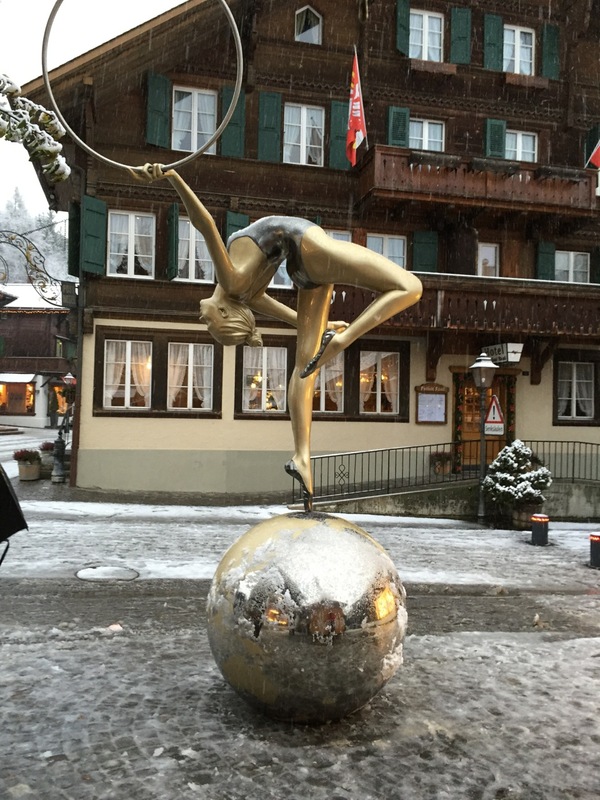 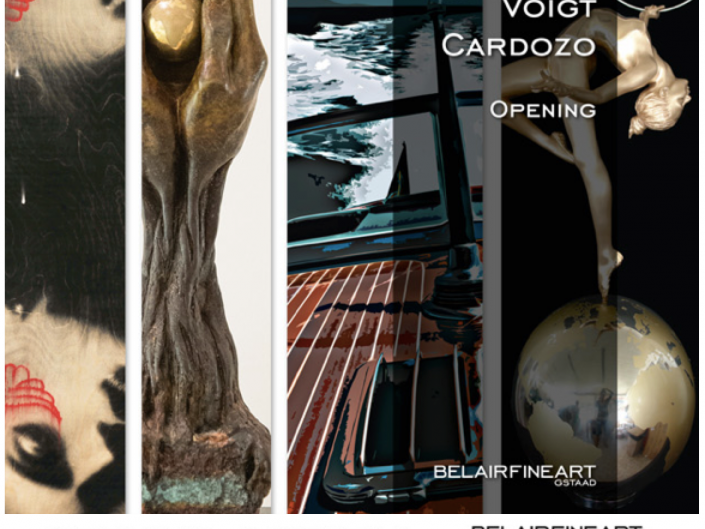 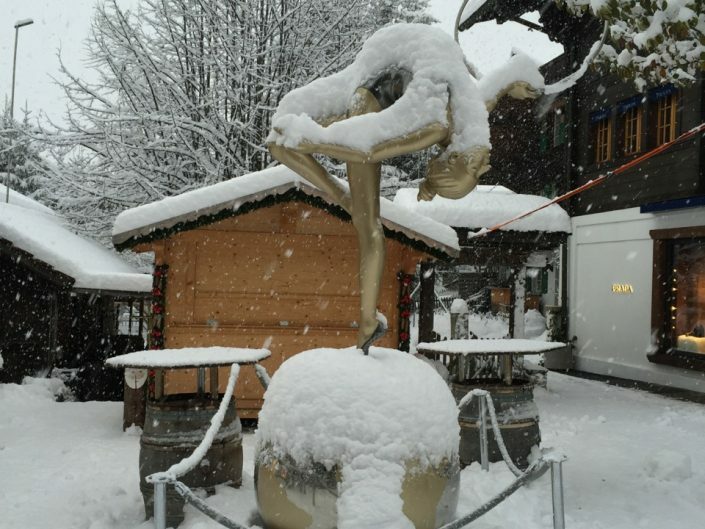 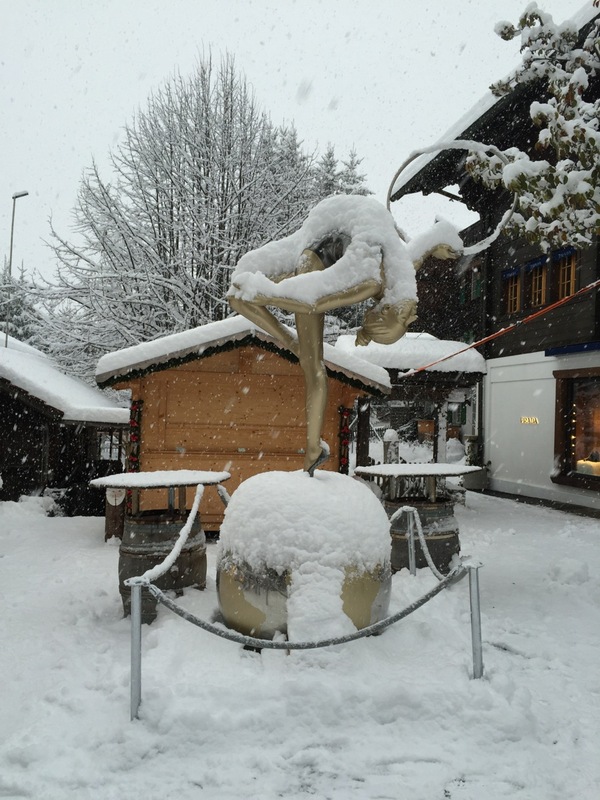 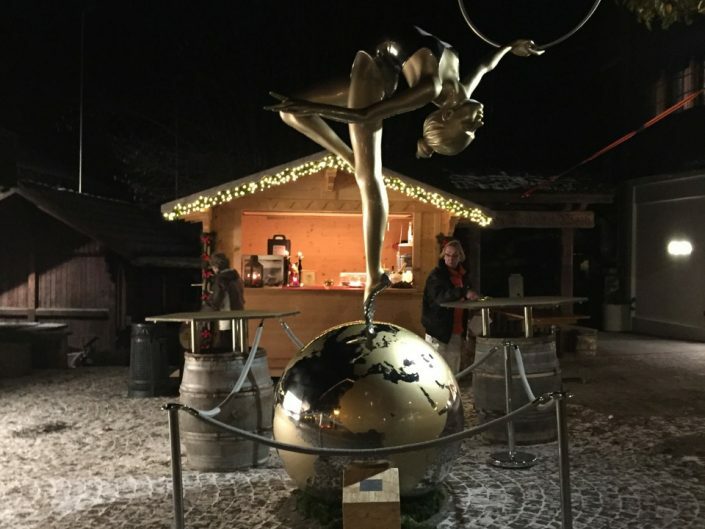 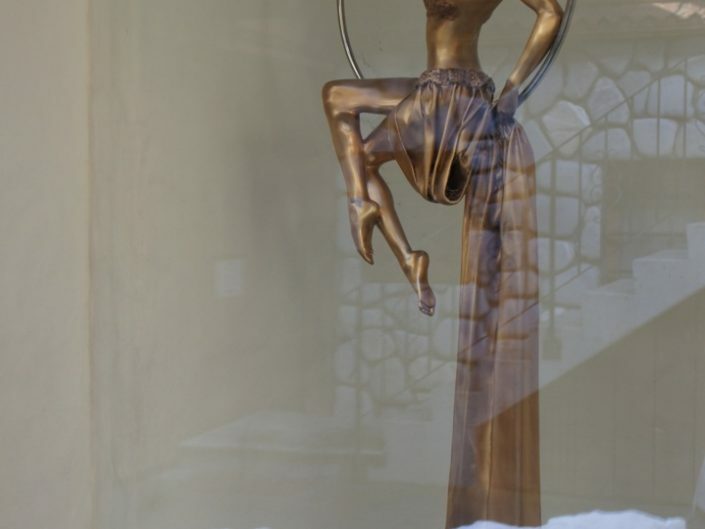 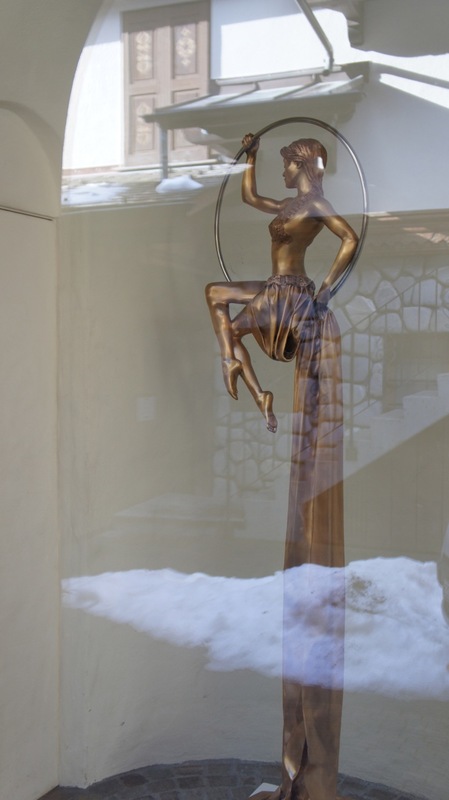 December 17 the Galerie Bel Air Fine Art placed 4 metre sculpture POISE on the Promenade in Gstaad, where she will remain for the season. 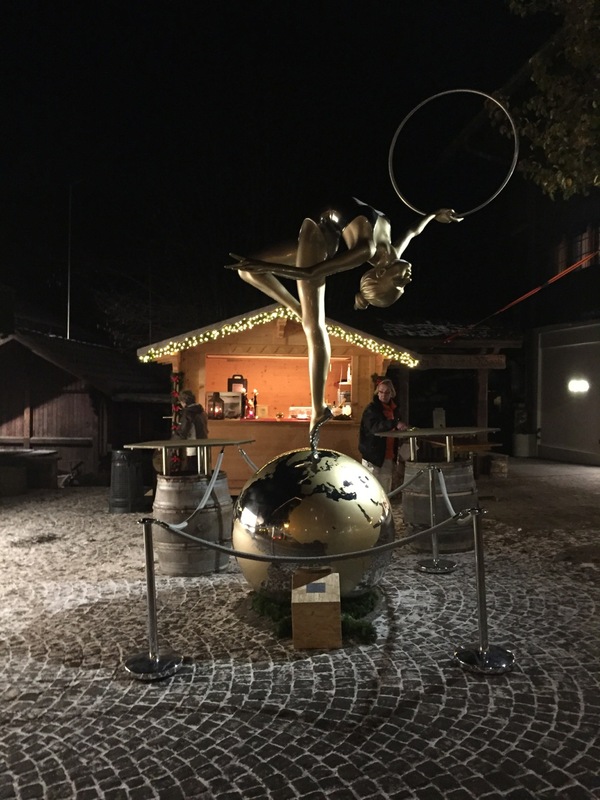 Since the 2012 London Olympics, POISE has been showcased at Heathrow T5, Berkley Square, and Wellington Barracks opposite Buckingham Palace. 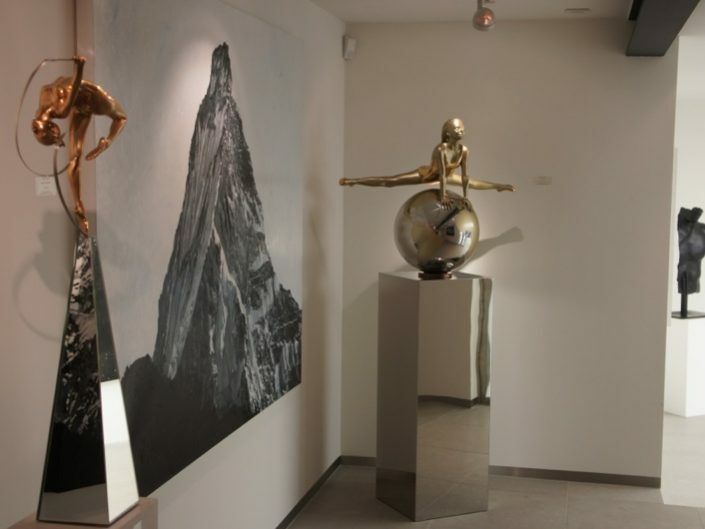 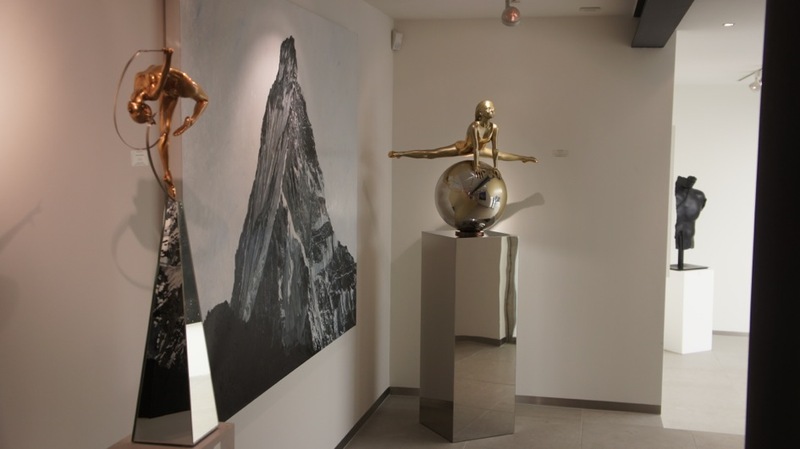 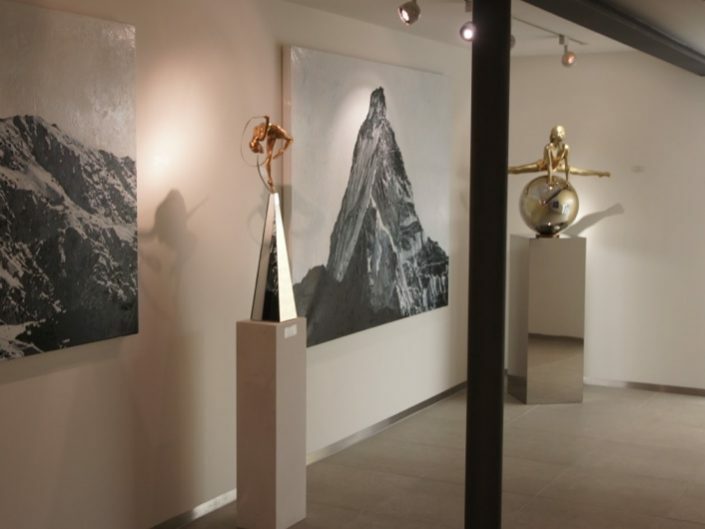 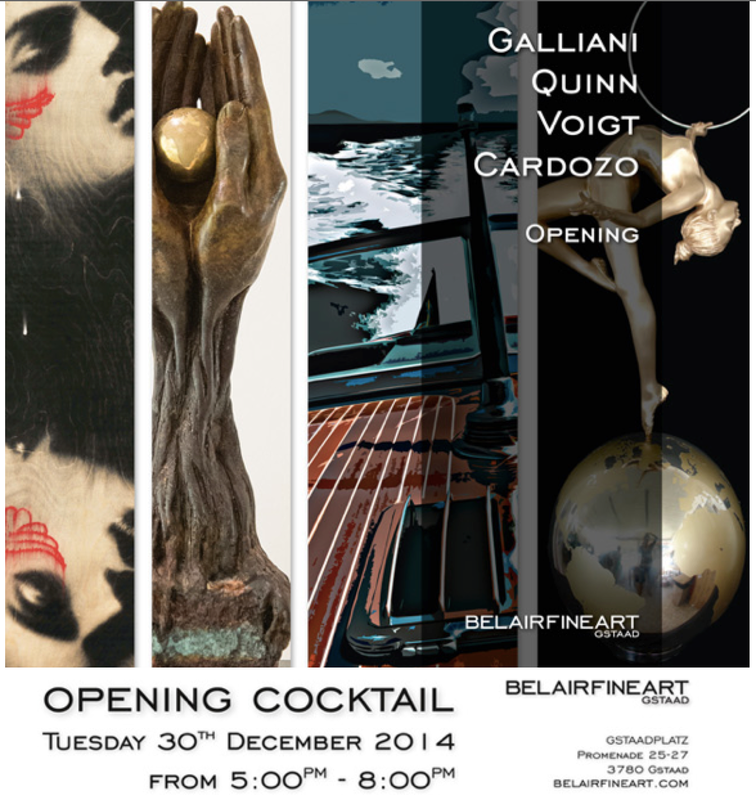 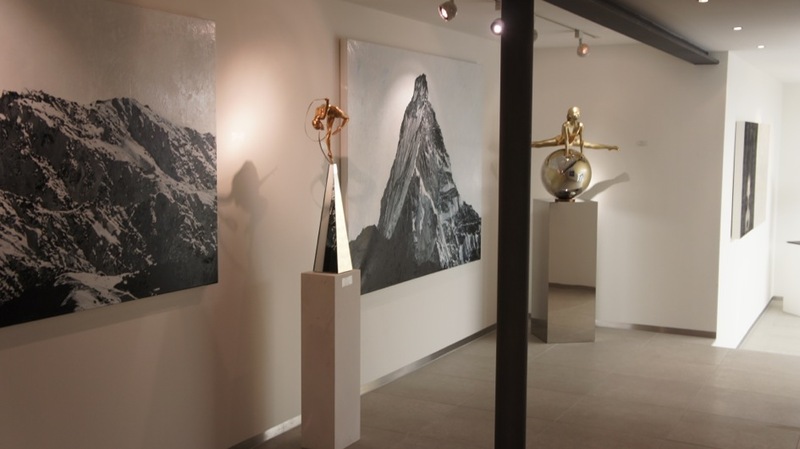 An opening cocktail at Galerie Bel Air was held on 30th December.